Make that your télé. 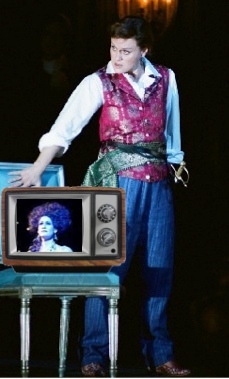 The always-informed Opera Cake reminds us that subscribers to French channel Mezzo TV can watch the Wiener Staatsoper’s Alcina tomorrow, February 8, at 20:30. It has already aired in Germany and Austria; I don’t know about elsewhere. You can read my review of this production here, which starred mighty Anja Harteros along with Vesselina Kasarova and Veronica Cangemi, conducted by Marc Minkowski and directed by Adrian Noble. It will eventually be out on DVD. You can see a clip of it at the bottom of this post. Carmen, Metropolitan Opera. Here is my review of the second performance, here is the DVD on Amazon. Meh, it’s OK, I would get the Covent Garden one instead. 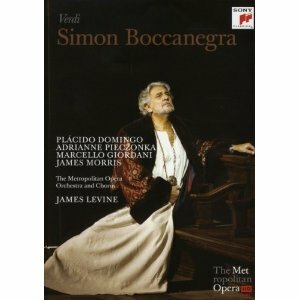 Simon Boccanegra, Metropolitan Opera. My review, also of the second performance. I quite liked it, but not everyone agreed with me about that. Amazon. 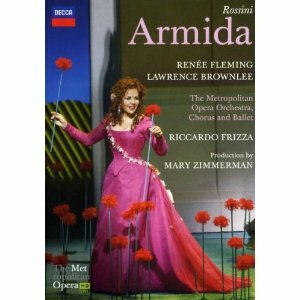 Armida, Metropolitan Opera, out February 15. My review of the first night. Can’t really recommend this one. I used the word “clunker.” Amazon. Tosca, Metropolitan Opera. This DVD is of the first cast. I reviewed the second cast here, but I saw the first as well. Met: by filming the first, you chose poorly. Amazon. Medea, Wiener Staatsoper. My review of the slightly different second cast. Highly recommended. Amazon. Partenope, Royal Danish Opera. My review of the New York City Opera visit of this production (with an entirely different cast). But you should get this, because Inger Dam-Jensen and Andreas Scholl are awesome. Amazon. 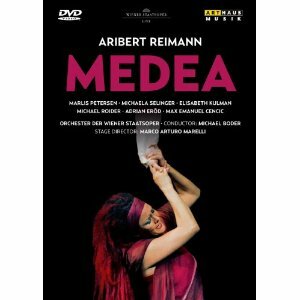 DVDs are also on the way for two other productions I recently reviewed: the Royal Opera House’s Adriana Lecouvreur and Bayerische Staatsoper’s Rusalka. No release dates yet for those.